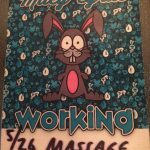 Backstage massage for touring bands and crew. More then 10 years of experience in the entertainment business. Our team wil make you feel relaxed again. Bookings worldwide. 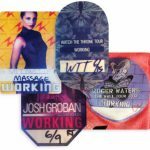 Touring with a band and crew is one of the great things of being an artist, but it can be rather challenging and exhausting. Travelling from one hotel to another and spending hours on a tour bus or a plane puts your general well-being to the test. And you want to be on top of your game just to give the audience the best, because they deserve it. So why not book a backstage massage therapist for the location where you have a gig so that your performance is always perfect, simply because you feel great! But of course these massages are not only for artist, it will benefit all people who travel a lot. Spiritfree is a worldwide organisation with professional and highly qualified therapists. They all have years of experience and are trained in many massage styles. They love giving massages and it shows. If you want to learn more about our tour package, click the button. 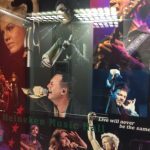 Some of the tours we worked on in various countries, down below.